Novembre, November is un mois sombre, a dark month. Last week I mentioned La Toussaint when the French commemorate the dead. Tomorrow the French commemorate the end of la Première Guerre Mondiale, the First World War. It is on the 11th of November which is un jour férié, a bank holiday in France and it celebrates l’Armistice which happened in 1918, on the train in Compiègne in the forest. It was signed between the German and the French and it ended four years of what the historians have called une boucherie, a butchery. 10 million people were killed. 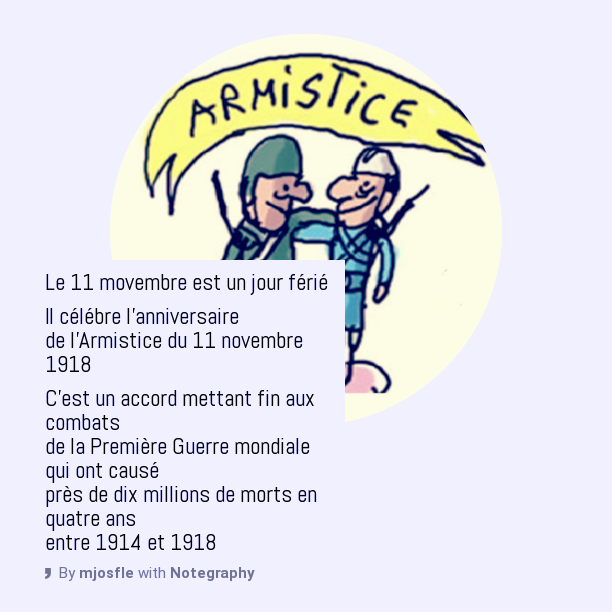 Explanation of the Armistice du 11 novembre on Maria José’s blog for French learners. Listen to this veteran, Paul Ooghe who explains that the Armistice was un jour de deuil, a day of morning for him. You can also follow the transcript of the video as you are watching it (click on Transcription). It is heartbreaking. La guerre is the war and this simple yet poignant poem entitled Familiale by Jacque Prévert describes well how the French have felt during and after the war. 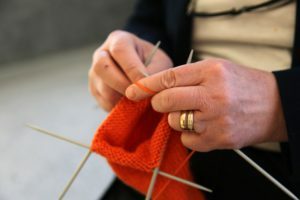 It is about this normal French family: the mum knits, the dad works and the son goes to war, it is natural! My Dear Man has kindly read and recorded the poem as well as Jacques Prévert biography. You can read both texts here. And you can use WikiTranslate to comprehend the poem. Qui est Jacques Prévert ? Who is Jacques Prévert? In the long term, I want to record every story and French comprehensible resources so that you can access them via text and audio format. What do you think? Would it be useful to help you acquire French effortlessly? As always, I love hearing from you so leave your thoughts in the comments below. Finally to brighten this newsletter up, I thought I would share last Sunday bedtime story from the author Mario Ramos. The title of this funny story is Qui est le plus fort ? Who is the strongest? Le grand méchant loup, the big bad wolf thinks he is the strongest but might he be wrong? My 5 years old son absolutely loves this story, what about you? You can even understand the vocabulary from the story on Quizlet. P.S. Remember to watch this week’s new story about a boy named Tyler who wants to have a real Panda. I must thank Mr Brown’s French class who watches my stories regularly. They inspired me for this particular one. Merci beaucoup ! Salut Alice, je comprend some of the poem and some of the bio. Your Dear Man a très bien speaking and pace pour moi – merci. Making all the stories available would be marvelous pour votre etudients…AND… a lot of work pour vous.